SKIMYBEST.COM: Ski Manual--"Culture and Skiing"
Not only do we skiers have differing body types, ages, genders, daring, and goals, we come from differing cultures as well. These cultural differences are hypothesized here to cause differences in the ways we ski and learn to ski. A look at the history of skiing and the regions where it developed plus a look at the results of various nations in the Winter Olympic scores should confirm this observation. Here I enter a topic that is fraught with pitfalls based on our notions of fairness in society, discrimination, generalizing, and the like. Although we may generalize that a plant having leaves, limbs, trunk, and roots is a tree, we know that not all trees are alike although we can even subdivide trees into various kinds still realizing that the members of each kind are not all alike, either. So it is with humans, and even personnel offices have classified job applicants by type in order to meet equal opportunity requirements as have governmental demographic studies. Thus I am hoping for an open attitude for those who would otherwise object to the generalities made here, we instructors having watched students from various cultures respond to skiing in ways generally common to their group. Why does this matter? Because in order best to learn, the learner should do so in his preferred way and the instructor should strive to provide that way. You will likely fit into some classification by culture--perhaps only loosely--even though you might prefer to think of yourself as an individual. Or you might not. Consider the strengths your culture might give you in skiing, and also consider the pitfalls some aspects might cause. We can manage our attitudes, even ones based on culture. An early Austrian ski instructor "import" to the United States, Luggi Foegger, is recalled as having noted that Americans differed from their European counterparts as being more impatient and less eager for basic instruction. At first this discouraged him, but then he realized that it made the Americans more eager to learn and more willing to accelerate the process. Many if not most Americans do seem to feel they are able to do anything and to do it well or at least more than adequately. Thus to these skiers ski lessons often seem unnecessary. They may be surprised to find out that ski instructors take lessons, too. One ski area with a staff of 700 instructors logs over 20,000 hours of learning clinics annually, partly just to improve and partly to advance to higher levels of certification--and of course to be able to teach better. And it can be pointed out that the Olympic athletes all have coaches and train hard to become better. Of course there are many kinds of Americans and some will have some of the cultural characteristics associated with groups described farther on. One puzzle in America is the preponderance of white skiers versus others. African-American skiers are largely absent from ski areas even though their performance in other sports excels. Very few ski instructors are black, either, yet they are often quite proficient. The ski industry would like to attract more black persons to the sport not only for equality reasons but for economic ones as well, for there is a great market there to be tapped. There are ski clubs and ski organizations for black skiers. One has the goal of putting a person of color in a Winter Olympics. Some of these groups are huge, with as many as 5,000 members attending their ski outings and making a grand prize for the resort they pick to go to. American Indians can be great skiers, although I am unsure that many are in the sport. I recall American Indian children on a race team at Yosemite National Park who could regularly outski their white friends. And their parents taught as volunteers. It is clear that many British skiers and some from the Continent are dedicated to learning well. A ski vacation for them often includes a lesson every day for their entire trip. They cannot understand the Americans they see careening down the hill seemingly without regard for safety or skill or the discipline to improve. Japanese skiers seem very anxious to please their instructor and will nod and smile in seeming understanding even though subsequent performance reveals a gap in communication. Koreans can be the same way. Japan has hosted a Winter Olympics and South Korea would like to. An interesting story came out of the 1980 Lake Placid Winter Olympics held in New York when a volunteer noticed a competitor of obvious Japanese descent and initiated a conversation to help the athlete feel more at home in America. Of course the athlete responded in perfect English, as any Japanese-American would. Mexican and South American skiers if male tend to be fearless and daring, even reckless, as if they needed to be tough as though facing a charging bull in the ring. Ladies from these regions, however, are more likely to be cautious. Both these traits make acquiring the more sophisticated skills of skiing more difficult. Norwegians have a tradition of winter sports and tend to be strong and tough, allowing them to excel. Folks from the Netherlands are often ice skaters, exercising on the abundant canal system in their country. This gives them an advantage in learning the comparable sliding sport of skiing, and they may make amazingly fast progress. Austrians, Germans, Italians, Swiss, Checks, Slovacs and the like all come from skiing nations and many have skiied their entire lifetimes and have expert-level skills. Asian Indians have in large part not had exposure to sports and so often have a slower learning curve when they start skiing. This can be very frustrating for them in a group lesson. Note in the next Olympics, for instance, how many athletes walk in the opening parade and contrast that and their immense population with the athletes who are there from much smaller nations. Skiers of Asian-Indian descent who have grown up in America, however, show athletic skills, suggesting a cultural factor as the cause rather than a genetic one. ...I had never really understood the reasoning behind women's ski groups. I don't want to ski like a girl; I want to ski like a person who knows how to ski!...However, I've come to see that skiing in any kind of supportive group is helpful, and there are definitely times when the boys go out and ski together, feed off their own energy, and have a blast. When women get together, there's some sort of supportive and encouraging base that appears. Couple that with the exciting sport that we're all addicted to, and you have a gentle space in which to make mistakes, meet new friends, and learn to go big. Skiing in an all-women's camp, for me, was eye-opening and incredibly fun... And [gave me] the realization that it's okay for me to wear sundresses, paint my toenails, and huck myself off a rock into the wild blue. There is a financial factor in culture, too. 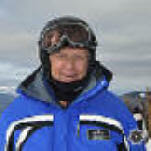 Although skiing is not the exclusive sport of the wealthy, for its joys are accessible by the middle class, especially if they live near ski slopes and have use for seasonpasses, wealth does make it possible to ski more and to take more lessons, with the result that such fortunate individuals are often among the more skilled skiers on the slopes. Such folks may even prefer certain resorts that attract persons like them (for instance, certain resorts are preferred by movie stars). An alternative for those of less financial position is to locate near a ski area and acquire annual lift passes and multiple-lesson packages during pre-season marketing events. Purchase of lightly used equipment after the ski season is viable, too. And, finally, you can work at a ski area, even be a ski instructor where you ski free and even (sometimes) get paid to do so. This "Culture and Skiing" page last modified 11/03/2017 07:21:39 AM. Did you come here from a link on another website? For latest version of this page, copy to your browser: http://www.SkiMyBest.com/skicultr.htm. Copyright © 2013, 2014, 2015, 2016, 2017, 2018, 2019. William R Jones.